This my tried-and-true, go-to pie crust recipe. This recipe has never failed me. It always stays together and tastes great. You can either make this the night before and put it in the freezer overnight (which works great) or you can make it and let it rest in the freezer for 30 minutes to an hour (which also works great). 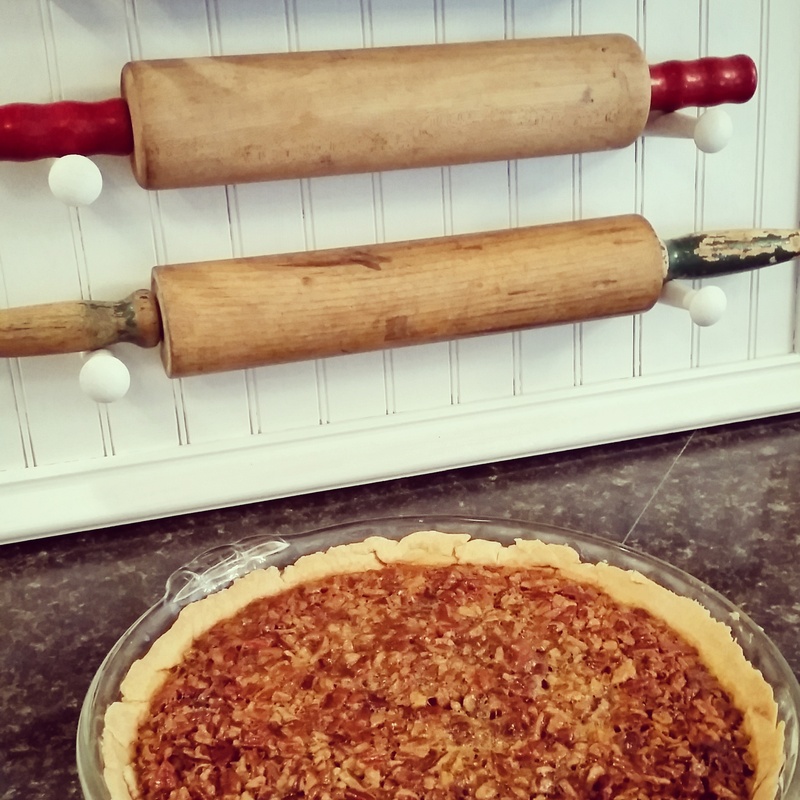 This Perfect Pie Crust Recipe is from Add A Pinch and though this year, my crust wasn’t as pretty, it stayed together which to me, is way more important. Now, on to the greatest pecan pie recipe of all time. Last year I was out of the best syrup in the world and had to use Karo Syrup for my Pumpkin Pecan Pie which was delicious but nothing beats Golden Eagle Syrup. I’m telling you, this syrup will change your life. What can you use it for you ask? French Toast? Yep. Biscuits? Yep. Bacon? Yes. Pancakes? Sure. Make baked beans with it? Why yes. 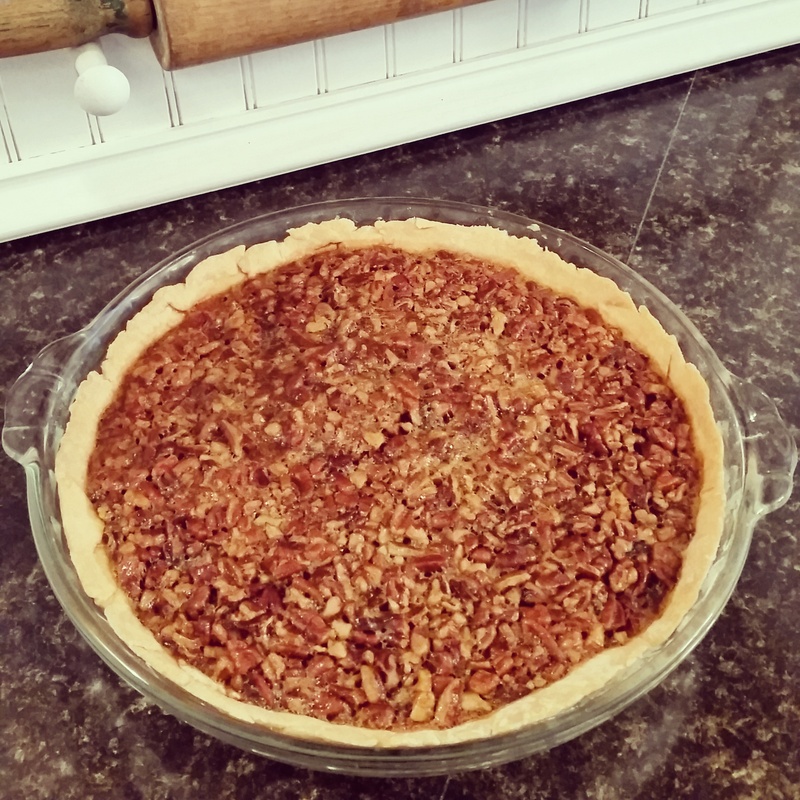 How about Pecan Pie? Yes ma’am, and here is the recipe (it’s on the back of the jar). This was this Thanksgiving Day’s dessert. I heated it up and put vanilla ice cream on top. *Note: Pie will thicken as it cools. Thank you! Awesome, I will check that out!